WEIGHT- When determining the weight of your boat you need to include the engine(s), fuel, gear and any factory added options that the builder did not include in its boat weight. Trailers are manufactured to carry a predetermined weight and should not be overloaded. LENGTH- The length of the boat is from the pulpit (if you have one) to the engine mount. Remember, when you are towing with a van or camper you don’t want the pulpit over the coupler on the trailer. TYPE – Many trailers are designed to allow the owner to drive the boat on and off. However, some ramps are too shallow to allow adequate submersion for the boat to load properly. Other ramps might have a drop off that will prevent proper launching. Be sure to determine if your trailer will perform adequately at your local ramp(s). Choose the proper style, Drive on or Roller. FINISH – Aluminum or Galvanized. Galvanized trailers have a protective coating that normally prevents rust for several years. Aluminum trailers will experience virtually no corrosion and are a lighter weight and generally considered better for salt water. AXLES – There are two types of axles, torsion or leaf spring. Both models have advantages and disadvantages. Leaf springs are less money but don’t have as smooth of a ride. Torsions cost more but ride better. Single axle trailers are lighter in weight and easier to maneuver but have less weight carrying capacity. Tandem axles are safer in case of tire failure. LAWS- The state of Florida requires brakes on all axles of any trailer with a G.V.W.R. of 3000 lbs. or more. This means the combined weight of the boat, trailer and all equipment being towed. Most other states have similar laws. WHEN SELECTING YOUR TRAILER BE SURE TO COMPLY WITH THE LAW. DRIVE SAFELY AND HAPPY BOATING! Need Help? 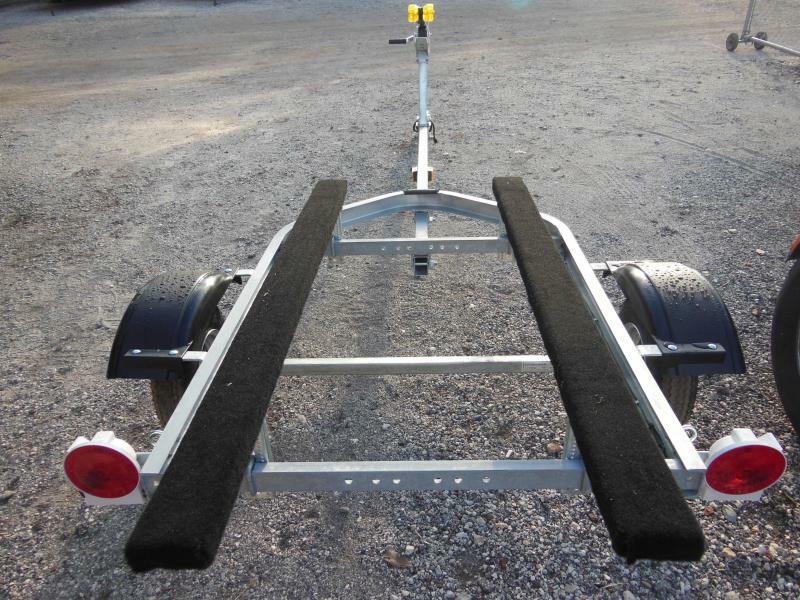 CLICK HERE to find the right boat trailer.